An invaluable aid to masters of ships for more than thirty years. Since the publication of the second edition more than a decade ago, many substantive changes have occurred in both the legal and operational environments affecting seagoing vessels and their crews. 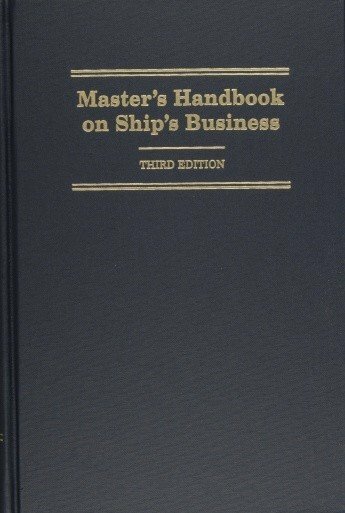 In response to these changes, this book has been completely updated and been renamed to include masters on all seagoing vessels, including oceangoing tugs. 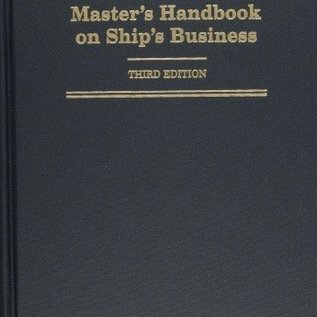 A complete guide for the newly appointed master, it is also useful to experienced masters as a checklist for the voluminous paperwork required in all phases of business aboard, including shipping articles, vessel documents and certificates, crew lists, customs and immigration requirements, accounting procedures, bills of lading, charter parties, vessel accidents, and logbooks.The master of a vessel is required to comply with state and federal laws that apply to the vessel and crew, the laws of foreign countries when the vessel is in their waters, and applicable international law. Mastering the details of these various jurisdictions can be intimidating, but this handbook demystifies the regulations and states the requirements in plain language.New topics in the third edition include vessel security, communications, and flag etiquette. Useful appendices give details on various agencies and contact personnel, acronyms and definitions, and medical evacuation and travelers’ insurance companies.